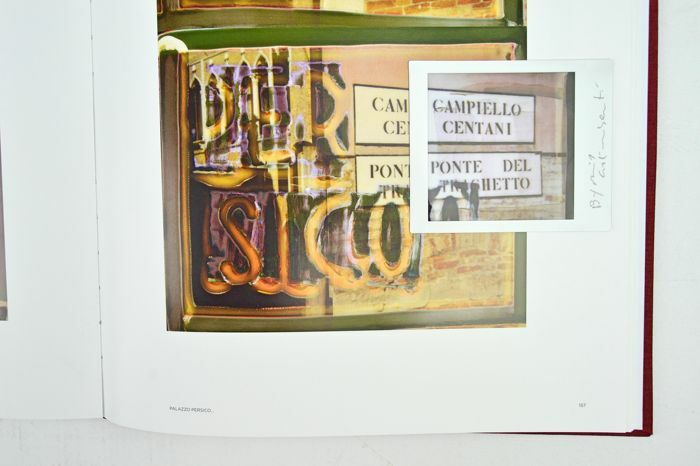 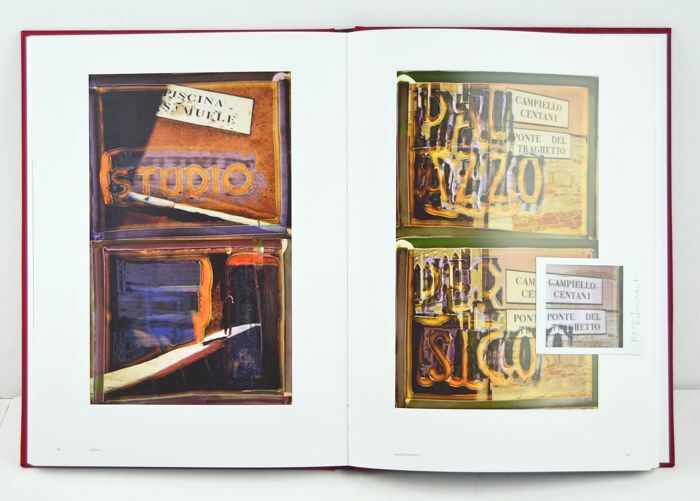 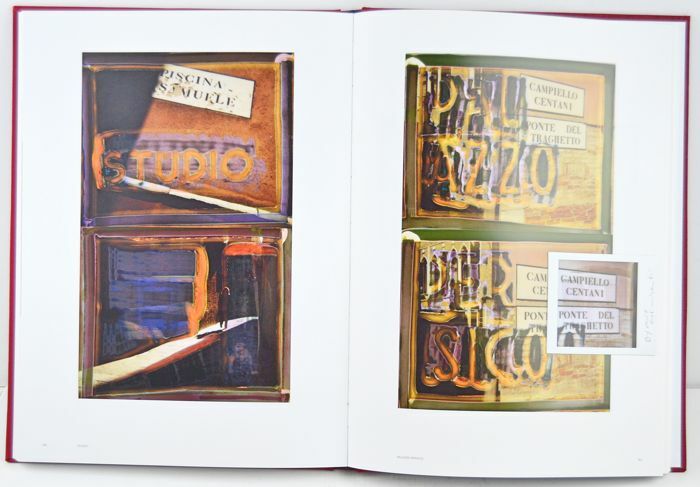 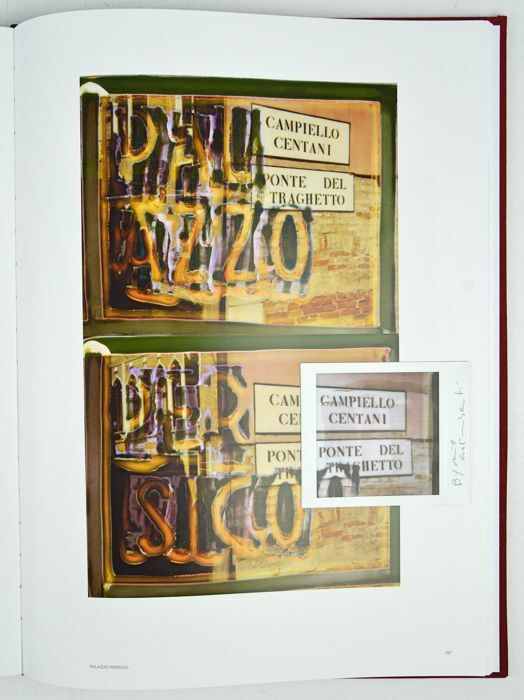 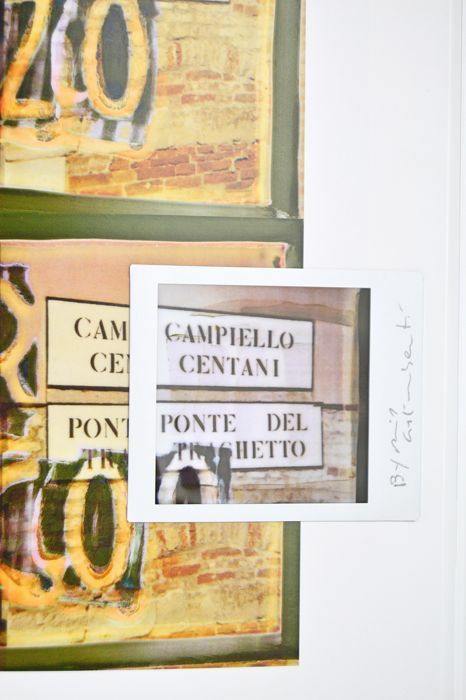 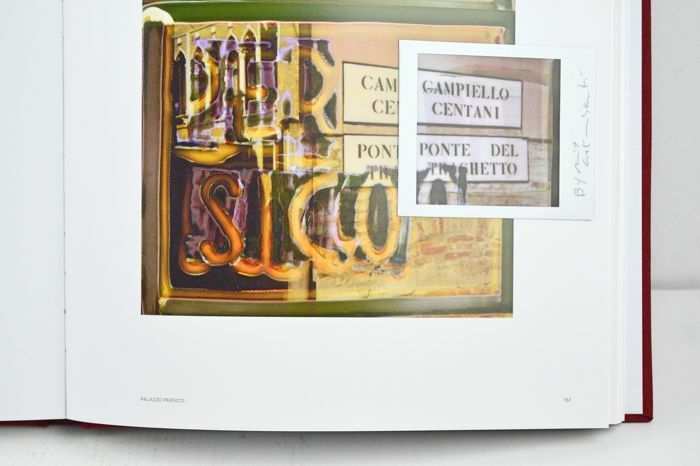 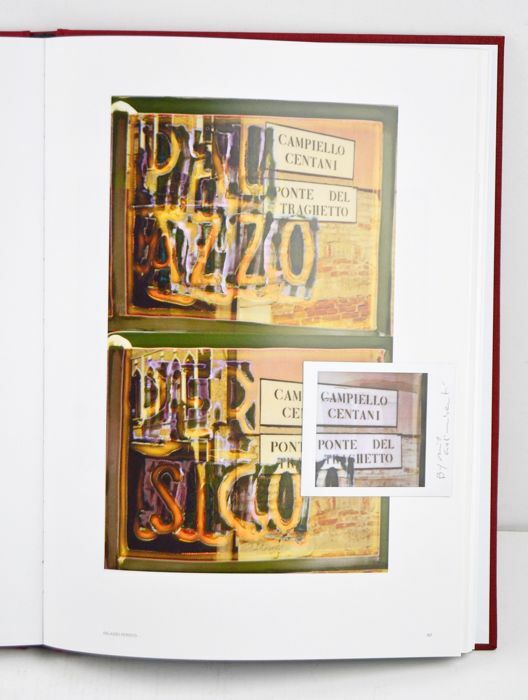 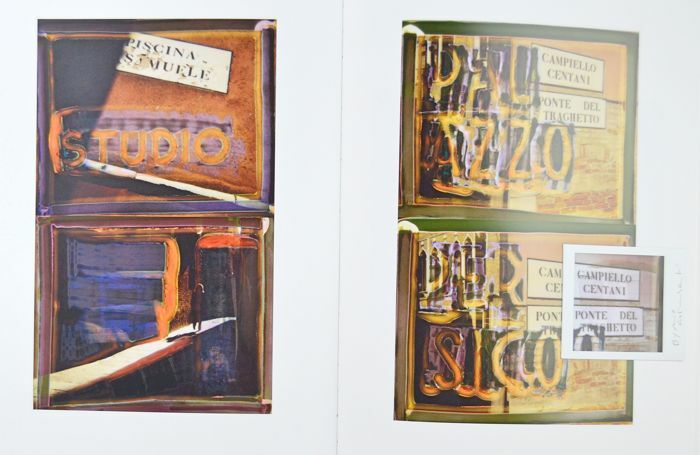 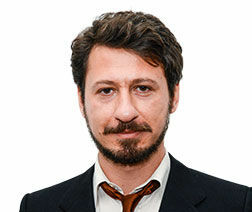 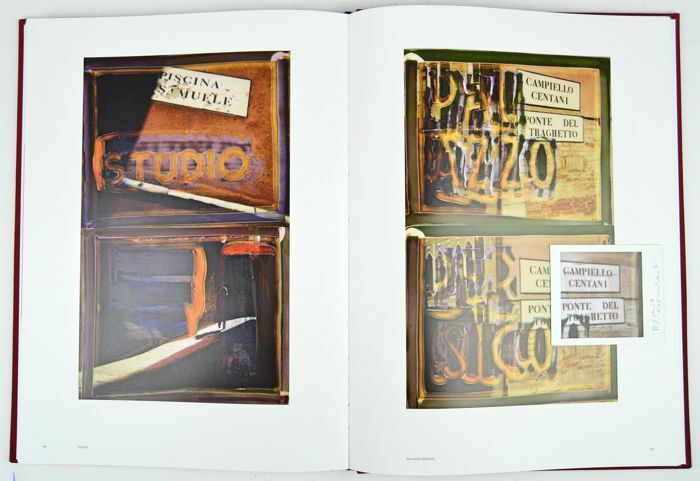 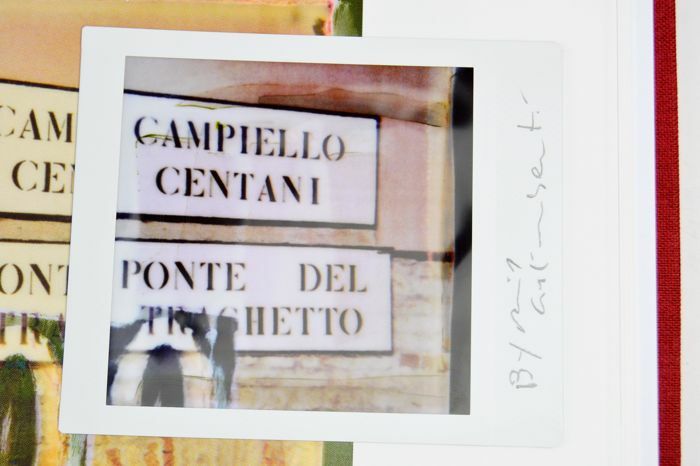 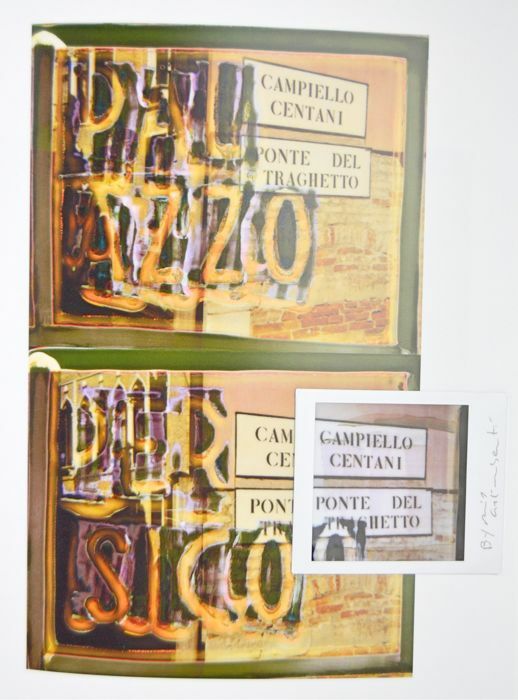 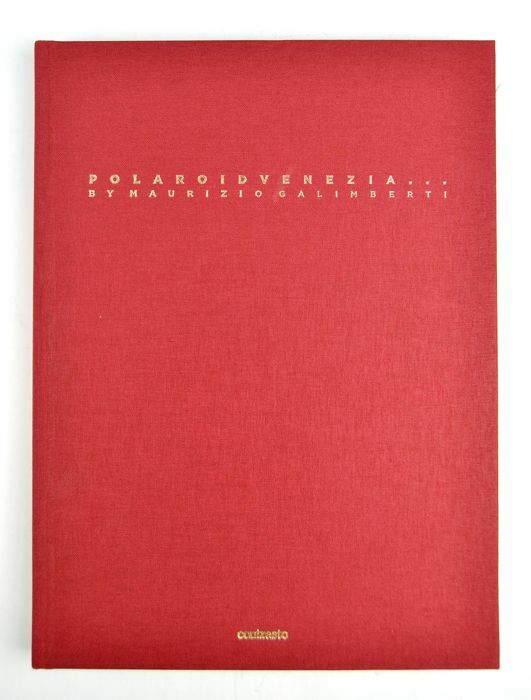 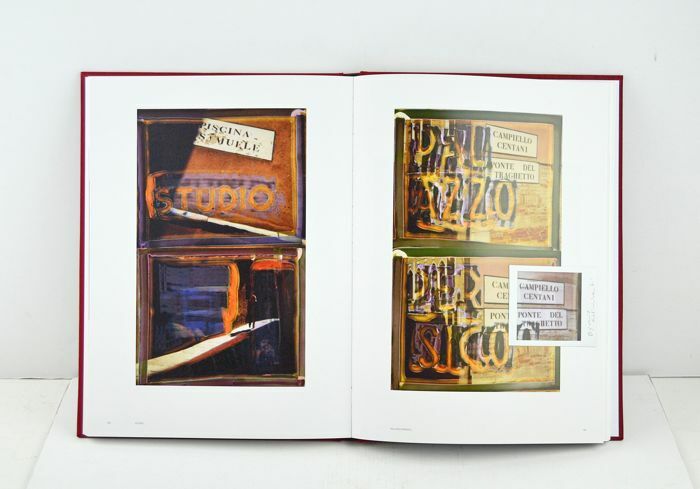 Single Polaroid picture applied on the catalogue ‘Polaroid Venezia’ on page 157. 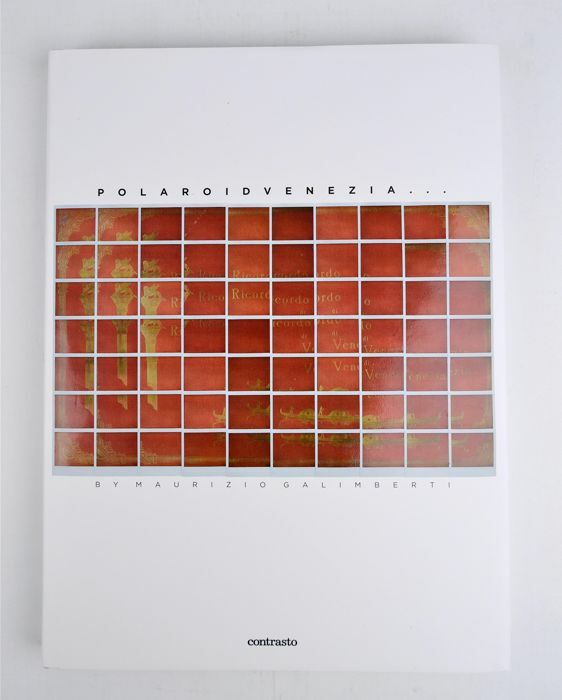 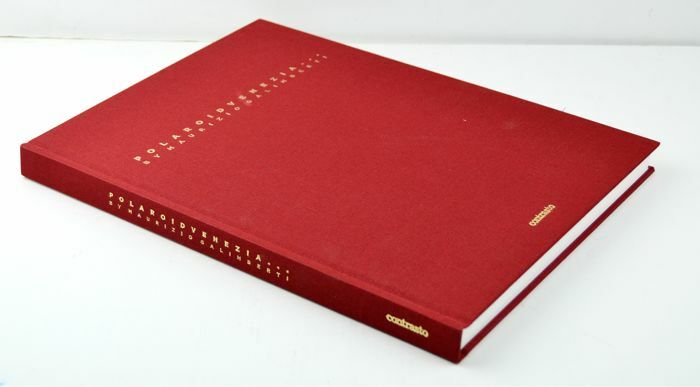 Dimensions of the catalogue, open: 34 x 50 cm (Polaroid picture dimensions: 7 x 8.5 cm). 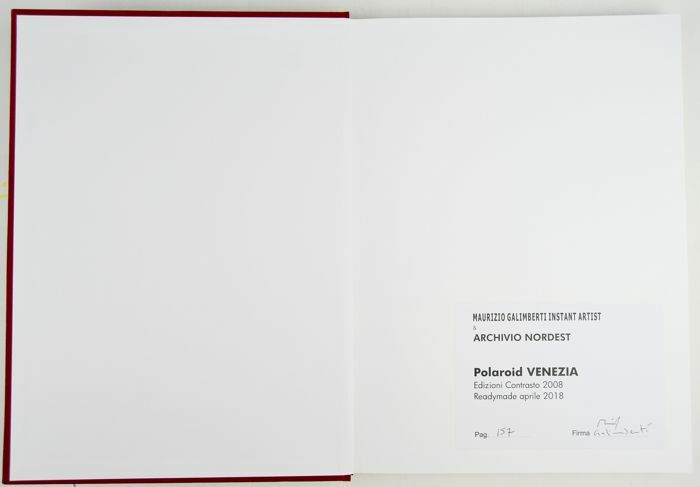 Artist’s signature on page 157. 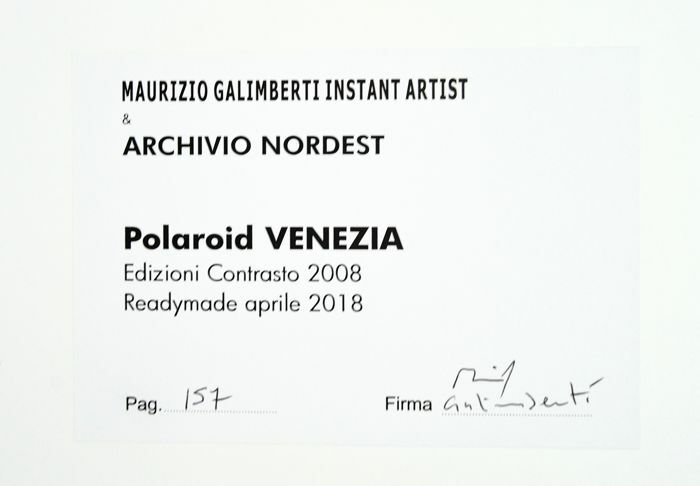 Label and signature of the artist as authentication on the first page of the catalogue (see picture). 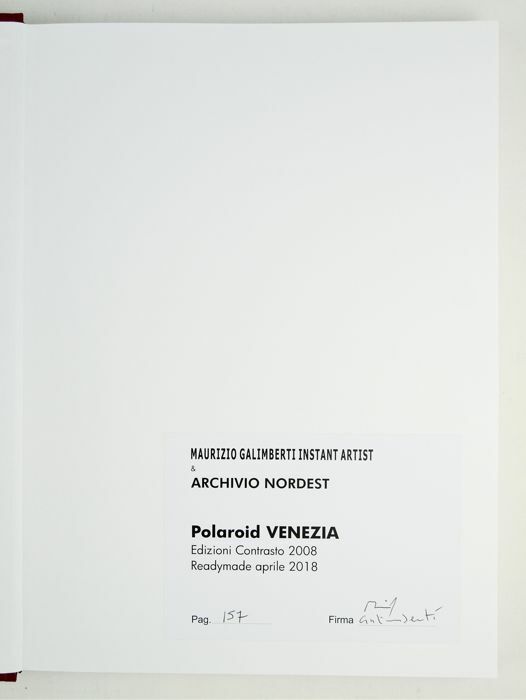 Unique artwork, in excellent condition. 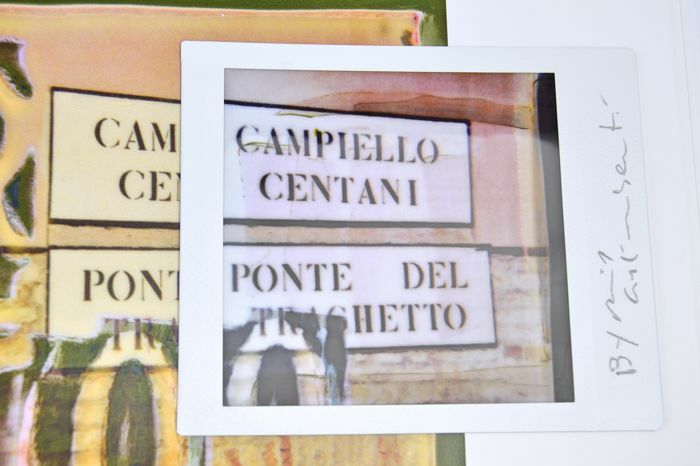 U kunt dit kavel ook ophalen bij de verkoper: Rudiano (Italia, Brescia, Lombardia), Italië.